This performative event by John Grzinich, made in collaboration with art students from FBAUP, is a preview of the on-going fieldwork mapping and recorded interventions at the Cooperativa dos Pedreiros (Porto). We start with the question of how sound resonates the collective unconscious of life in the modern city. Where do the echoes of material production end and the everyday presence of sound manifested through our actions? The aim is to not only enhance our awareness of listening and technique but also to expand the performative language of expression of the body in relation to space through sound. 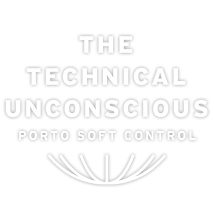 All audiovisual materials have been generated during the artistic residence in the context of Technical Unconscious Project / Softcontrol FBAUP.